Please join our Fund Managers for the chance to discuss the Hawksmoor Vanbrugh and Distribution Funds as well as the new Global Opportunities Fund. Questions can be submitted live to the Fund Managers on the day. This webinar will give potential investors and other interested parties the opportunity to learn more about the new fund, and to ask questions directly to the Fund Managers themselves. Join us for the latest of our BrightTalk updates on the Hawksmoor Vanbrugh and Distribution Funds. The webinar will run for approximately 20 minutes with another 10 minutes allocated for Q&A. This webinar qualifies for 30 minutes CPD. The webinar will run for approximately 20 minutes with another 10 minutes allocated for Q&A. Questions can be submitted live to the Fund Managers on the day. A review of activity and events during quarter 2 2017 and the effects on the Hawksmoor Vanbrugh Fund and Hawksmoor Distribution Fund. Join us for a brief update on the funds with discussions on current themes and addressing any questions regarding the portfolios. Join Hawksmoor's Ben Conway and Daniel Lockyer, managers of the Hawksmoor Vanbrugh fund and Hawksmoor Distribution fund for a summary of the past three months with commentary on activity within the funds and the extraordinary period we have been through. Join Senior Fund Managers Daniel Lockyer and Richard Scott with Toby Hine-Haycock, Sales Manager. A summary of the past three month for the fund as well as comment on the wider environment will be provided with an opportunity to put questions to the managers. Join us for the latest of our regular updates as we set out our thoughts on the recent events in markets, what effect this has had on performance and how we have positioned the PFS Hawksmoor Vanbrugh Fund and the PFS Hawksmoor Distribution Fund. Join for the latest of our regular updates as we set out our thoughts on the recent events in markets, what effect this has had on performance and how we have positioned the PFS Hawksmoor Vanbrugh Fund and the PFS Hawksmoor Distribution Fund. Join for the latest of our regular updates as we set out our thoughts on recent events in markets, what effect this has had on the performance and how we have positioned the PFS Hawksmoor Vanbrugh Fund and the PFS Hawksmoor Distribution Fund. We are living through unprecedented times in markets and finding good investments is harder than ever. Join the Hawksmoor Fund Management Team in their inaugural quarterly investment update as they discuss the current markets and the positioning of the top decile Hawksmoor Vanbrugh & Distribution Funds. 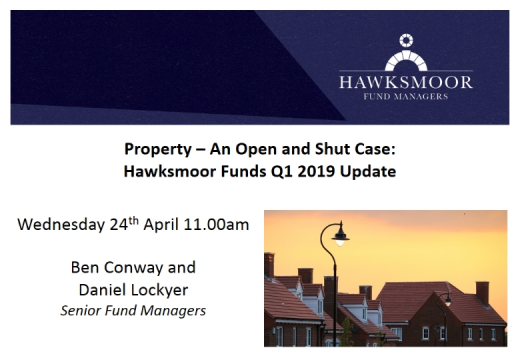 The Hawksmoor Fund Management Team provide a quarterly update on the Vanbrugh and Distribution Fund as well as discuss current topics such as gold and property exposure.